Here is a short tutorial on How to enable Windows 8 store to find application in preferred language. Windows store is daily loading up with several applications making it difficult to search application in your preferred language. However, Windows store comes with an option which makes it easier to find application in your preferred language. 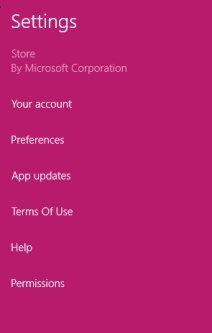 This short tutorial includes each and every step to enable Windows store to find application in preferred language. Don’t forget to check out a tutorial on How to disable or turn off Windows 8 live tiles. 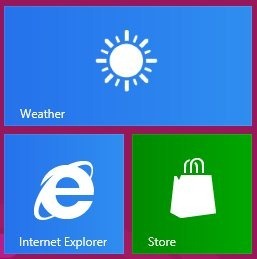 Firstly, you need to launch the Windows store app from the Windows 8 start screen. Once the store is opened, you need to move and place the mouse cursor on the top right or bottom right corner of the screen in order to access the charm bar. Within the charm bar, you need to select the settings option. Select preferences option from the list of options under store settings . Within the preferences, move the slider to the right side to make it Yes in Make it easier to find apps in my preferred language option. Now, you can close the store settings screen. That’s all you need to do to enable windows 8 Store to find application in preferred language. Follow this step by step tutorial to enable Windows 8 store to find application in preferred language.